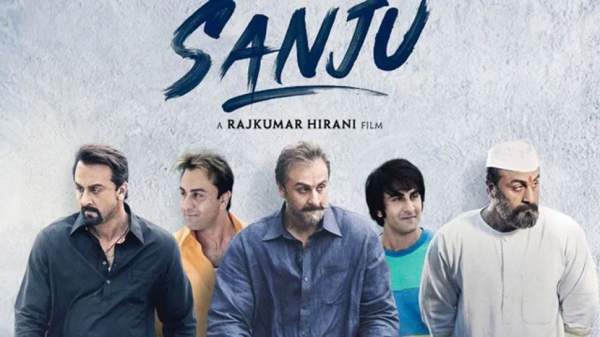 Sanju is now fairing in its 16th day (3rd Saturday) of release at the box office. So far, the collection of Sanju has reached new heights. Today, it will cross the mark of 300 cr. By yesterday (day 15), it has already collected over 296 crores from the domestic markets. Talking about the overseas collection, Sanju has already raked in around 122 crores in its first 14 days of run. Its worldwide gross has reached over 500 cr figure. The film is a biopic on the life of Bollywood actor Sanjay Dutt starring Ranbir Kapoor as Sanjay. Despite the reduction of screen count, the occupancy in theatres is still better than the new releases – Soorma. Soorma is also a biopic film made on the Hockey star Indian player Sandeep Singh. It has earned 3.25 cr on its first day. Today is its 1st Saturday at the business. The excitement of audiences hasn’t worn off yet, even when the film has entered in its third week. It is evident from the business it is doing and the occupancy reports. Besides Ranbir, Sanju stars Paresh Rawal, Vicky Kaushal, Manisha Koirala, Dia Mirza, Sonam Kapoor, Anushka Sharma, and Jim Sarbh. With success and appreciation, Sanju is also getting criticized for being easy on the crimes done by Sanjay Dutt. It is receiving criticism that the film tries to paint a positive image of the actor. But, Dutt has responded that he has told the truth and people of India has accepted it. See: Tamizh Padam 2 second day collection. Sanju’s 9th day at the box office started better than the Friday. It got around 35% occupancy in the morning shows. Later on, it increased in the afternoon and evening shows. It looks like that the film will earn 6 crores on its 3rd Saturday, taking the total collection to more than 300 cr in India. Soorma doesn’t seem to be a real competition to it for now. However, if a very strong word of mouth prevails, then it will overtake the Sanju’s business. As of now, Ranbir starrer stands at number 8 in the list of highest Hindi film grosser of all time, ahead of Dhoom 3. Have you watched the movie? What’s your review? Stay tuned for more.